Height: About 14” at the shoulder. Their legs are relatively short compared to the red fox; overall body length is up to 47 inches. Typical Diet: Virtually every kind of meat, fruit, vegetable or insect. Small mammals, especially cotton-tail rabbits are favorites. Opportunistic foragers, using hunting techniques from stalking to dash-and-grab. The best known techniques is the “mouse pounce”, which is done by jumping up above the ground and diving, front paws first, onto the prey. The impact stuns the prey, or flushes it, allowing the fox to catch it. 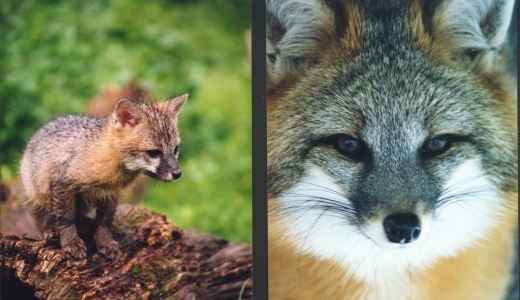 Similar Species: Red Fox, Kit Fox, Swift Fox.